An attractive variety of Royal Fern, differing from O. regalis in that it has separate fertile and sterile fronds. The fronds are also shorter with slightly thicker pinnules. It enjoys similar sites to O. regalis but it is not quite as tolerant of sun, requiring very wet soils if grown in full sun. The fiddleheads are very popular to eat in Japan where they are know as Zenmai. 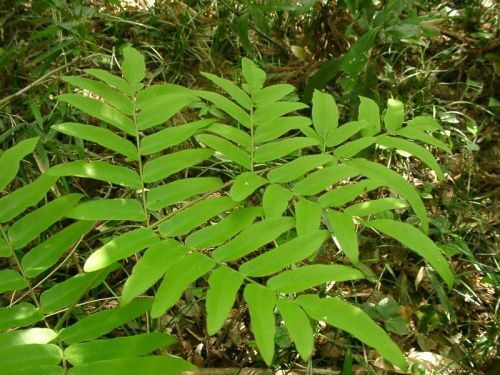 They have been found to be the very best plant to remove formaldehydes from indoor spaces. The plant is deciduous so would be best put outside from October to March so it can enjoy its winter rest.